After the nerve wrecking experience at the Semi Final, I spent the next few days thinking of what to make for the final. In hindsight, I probably should have be more prepared as the theme for the final was announced a week earlier: Tropical Fruits and Nutriplus Eggs. I thought of a Mango Creme Brulee (risky, as Mango doesn’t bake well), Pineapple upside-down cake (lack of wow factor), Banana Cake (yummy but lacking in presentation), but my heart was saying I should bake something savoury instead. Based on Chef Ryan’s advice, I’ve adapted one of the recipes by Chef Nathalie Arbefeuille’s in Think Out of the Shell Volume 1 and made it tropical to suit the theme. After 2 practise runs, I’ve decided to use a Pineapple and Tomato chutney to pair with an Almond Crust. 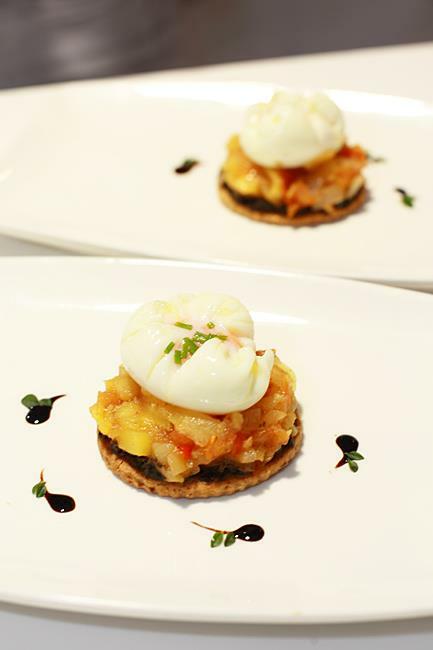 The other components include an Olive and Thyme Pâté, Balsamic Reduction and Poach Eggs (very “me”). Final draft made the night before. Ignore the edible flowers bit, didn’t have time to run to Village grocers that morning so I went without. By the way, that there is a proof that not all doctors have horrible handwriting. Hehe. Arriving nice and early at One Utama, we made our way to AEON where the competition was held. My my, the space was larger than the semi-final and it did look rather daunting. Surprisingly enough, I didn’t feel nervous. Perhaps the semi final had somewhat eased me a bit, I mean, what’s so scary about baking in public right? I just pictured myself at one of my gigs, except I didn’t even have to worry about my voice! With that in mind, I worked methodically in my own pace while having lots of fun with the judges and the crowd. It was great to meet some of my blogger friends in person! Hi Lena! I was measuring the flour for my Almond Crust. Having practiced Shortcrust Pastry so many times, I whizzed through this step without a glitch. Freshly roasted almonds gave the pastry a lovely aroma and texture, which is something you can’t really achieve with almond meal. Once the pastry was all wrapped up and resting in the fridge. I cleared my station to start on my Pineapple and Tomato Chutney, my favourite part! Have you ever seen someone so happy while cutting pineapple? Not surprisingly, the aroma of the spices attracted plenty of people. The cooking station was surrounded by judges and some members of the crowd. Pay no attention to that tuckshop lady arm of mine, thanks! There were 5 judges on the day, which meant more people to impress. 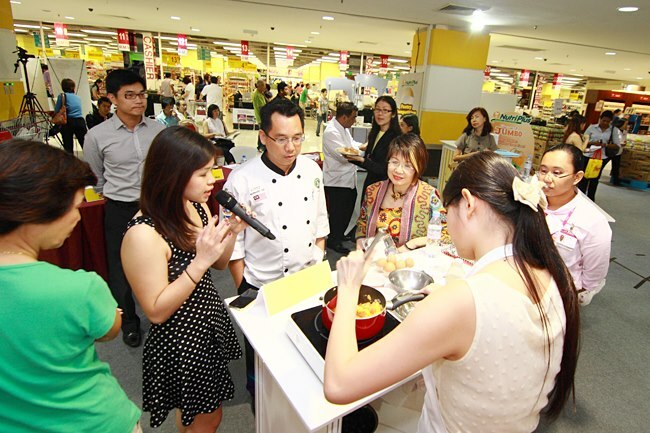 Chef Bernard from Cilantro Culinary Academy made another appearance, along with Veron of Quay Po Cooks. 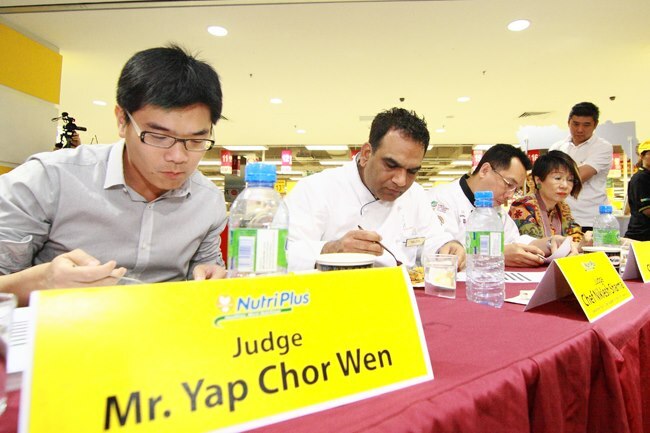 Sitting next to them we have Chef Niklesh Sharma, Executive Pastry Chef from Academy of Pastry Arts, Mr Yap Chor Wen from Lay Hong (dubbed “The Egg Man”, affectionately of course), and Representatives from AEON. While the chutney was slowly cooking, I also took the time to blend my Olive Pâté and set it in the fridge. After that, cutting out the rounds for the tart base and freezing it again. In between, plenty of time to check out the competition! Even though I was literally hiding in the corner (and almost kneeling on the floor, no less) while working on my eggs, the camera still caught me. Everything was coming together nicely. Oh one word of caution though, when cooking Balsamic vinegar, make sure you stand far enough to not inhale the pungent fumes. It’s cough-inducing! Good laughs though. Soon, it was plating time. This was the part that took a rather large chunk of my time because I had to make sure the presentation was immaculate. First, place the tart on plate, smear the olive Pâté thinly, place the pineapple and tomato chutney, then slowly slide the egg on top. Silly me didn’t bring a drizzle bottle, so I used a fork to carefully make small droplets on the plate and drew across to make ‘tails’. Chef Bernard Lee checking up on my handiwork, liking what he saw. Oh hi Frank! Work of art? Close enough. Initially I had wanted to make some pineapple flowers to go with the dish, however due to the temperature error, my batch of flowers burnt! I also got a very nice burn from the oven door while taking it out. 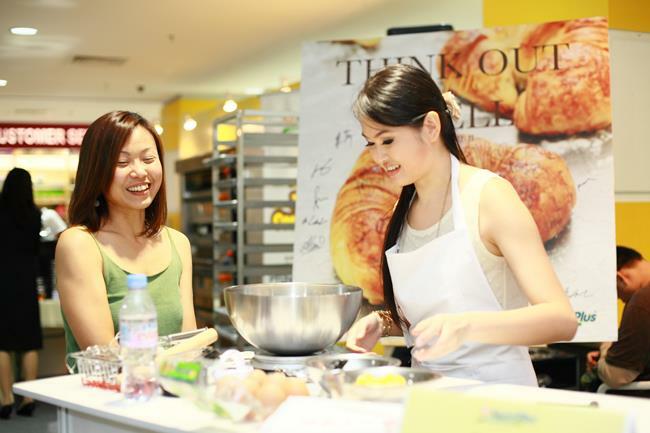 Chef Bernard Lee advised not to bother making another batch anyway to clutter the presentation. I was only happy to oblige. I guess without it, you could concentrate on the yolkporn more. Like this. Photo courtesy of Quay Po Cooks. Mmm. Wouldn’t mind tasting it again actually. The judges all had very positive comments about my dish, much to my delight. Chef Bernard remarked that he just had his breakfast, lunch, and dinner together and that it was an ‘Explosion of Flavours’. Veron said one word that’s worth it’s weight in gold: “Umami”, and she thought that the almond crust was quite tasty and a good pairing with Olive Pâté. Mr Yap was pleased that I seemed to be loving what I do. 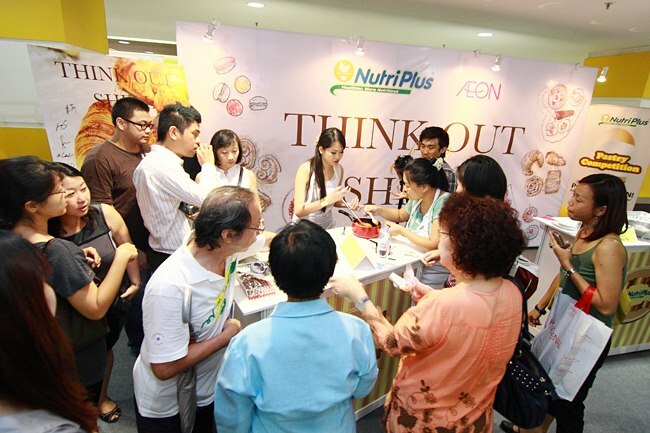 After the judges had their turn, I returned to my work station amazed to find so many people waiting to taste. In a way I felt bad because I didn’t plate the rest of the tart nicely, but that didn’t stop the lovely feedback. Soon, everything was gone! Most of you would have known that I’ve come 1st Runner Up (except for News Strait Times, tsk tsk). When they were announced the 3rd and 4th place, I started chanting quietly with a voice only Frank could hear “2nd Place…. 2nd Place… I want the iPad!”. And sure enough, my name was called next and Wendy was announced the winner of the competition with her super impressive Watermelon Lime Charlotte. Check out her blog for her experience at the competition. 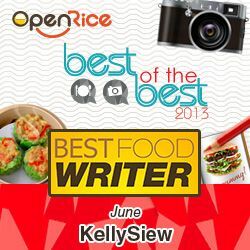 Many people to thank: Veron for the push needed for me to join the competition, Frank for being the official food taster and presence at both competition days, Fan and Treedson for your enthusiasm, many friends who wished me good luck (you know who you are), Chef Rya, Chef Loke, Chef Gina for the help with my recipes, I would not have made it this far without your support. Great job to the Nourish team for organising the competition too (and the book launch). Of course, here’s the recipe as promised. Roast almonds in 180c for 8-10 minutes until aromatic. Pulse them in a food processor or blender until medium-fine, with some coarse bits remaining. Whisk together the flour, icing sugar and salt in a large bowl. Add almonds and combine well. Rub in butter until mixture resembles breadcrums. 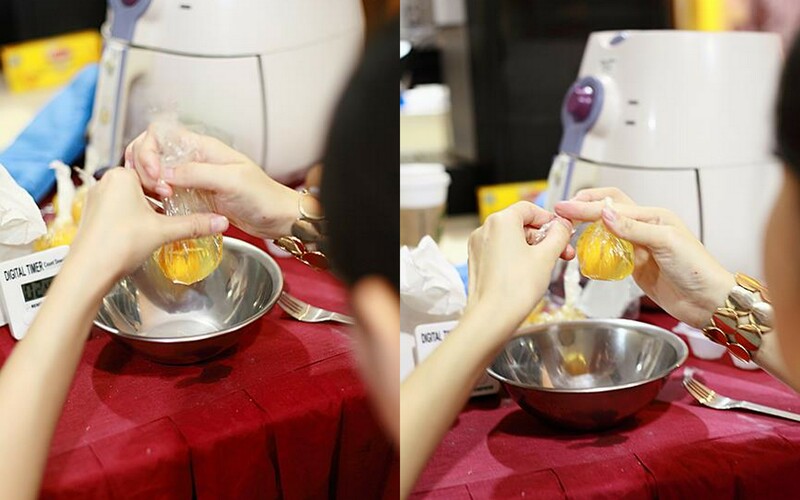 Add egg yolk, little by little, combining with fingers until mixture has come together. You might not need to full egg yolk. I used probably just more than half. Flatten the dough into a disc and wrap in plastic. Chill in fridge for 1 hour or until firm. Roll dough out thinly and cut out rounds, working quickly so the dough doesn’t soften too much. Transfer the rounds to a baking tray and freeze for 30 minutes. Before baking, prick the dough all over with a fork and bake in preheated oven at 180C for 20-25 minutes until crust is golden brown. Cool to room temperature. Heat Olive oil in pan. When it’s ready, saute onion and ginger with all the spices until fragrant. Add tomatoes first, followed by the Pineapple and stir for a minute or two to release their juices. Add sugar, vinegar, and salt and continue to cook until mixture thickens (around 20 minutes), adjusting for taste as needed. Pour everything in the blender and blend to smooth. Set aside until ready to use. Put everything into a pan and cook slowly until the mixture thickens. Feel free to use the vinegar and whirlpool method at home. But I had to do 6 eggs at once so I used the Cling film method. Expel all the air around the egg, and twist the cling film to shape the egg. Tie the plastic, sliding the knot down close to the egg to preserve the shape. Repeat the same steps for the rest of the eggs. 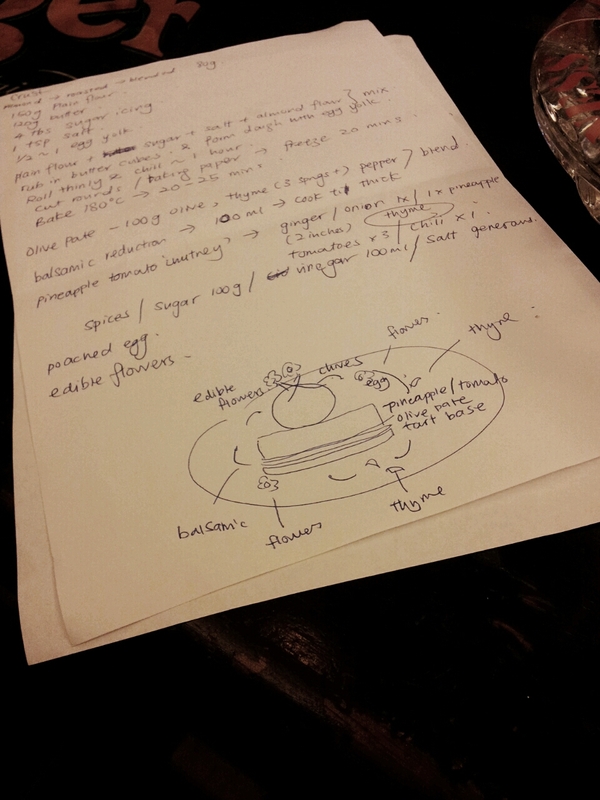 Refer to above plating pic for the way to assemble this dish my way. You can definitely play around and add your own touch. Photo credit: Think Out of the Shell Facebook Page, check out http://www.facebook.com/thinkoutoftheshell for more photos and other updates. Think Out of the Shell Cookbook is now available in all MPH bookstores. Next, I’ll blog about the Bread Workshop with Chef Franck Heuze, courtesy of Academy of Pastry Arts. Thank you! The main thing for me that everyone enjoyed my creation, that makes me really happy. It’s the same when the audience enjoys my performance too. Yeah I think the longer time frame helped, and also it was no longer the first time, so to speak. Thank you! I felt good that I served something that I’d enjoy eating myself, as I prefer savoury food and don’t feel as confident with desserts. Congratulations! 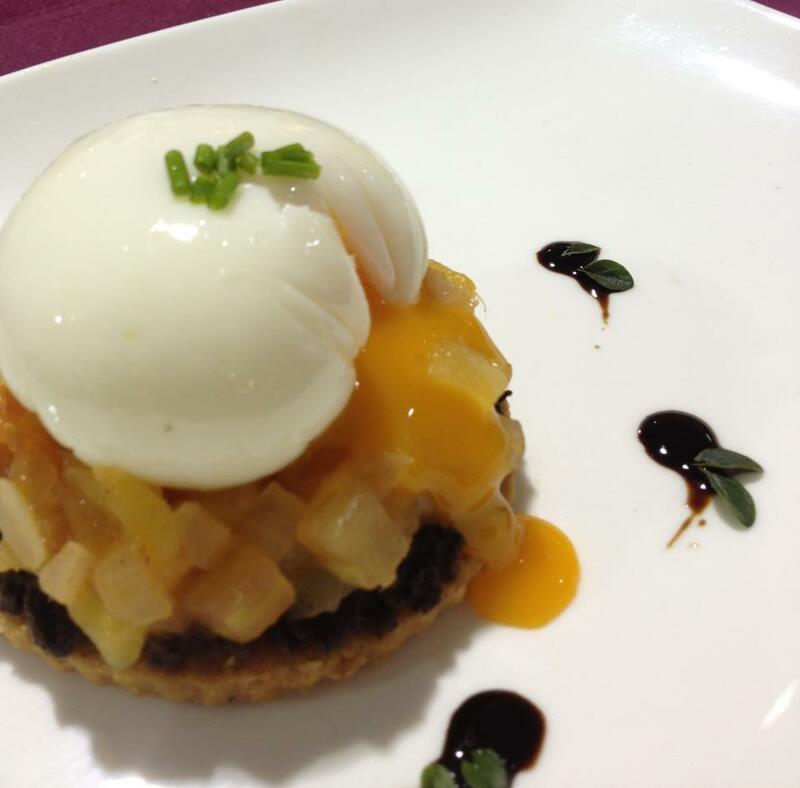 You tart with poached egg was awesome, hope to taste it …. I post u photo after I tried. Thank you very much for sharing such awesome treat with us! Looking forward to see your creation! you done it very well. Thank you! We should catch up soon! Congrats on your achievement, Kelly! 🙂 I agree with the comment the judge gave, it’s great that you’re loving creating all this new culinary pieces. You seem to have such a knack for it! Thank you so much! I just love feeding people. If they love whatever I make it’s a bonus! It doesn’t only induces cough whenever I cook with vinegar, it stings my eyes too! My hubby actually wanted the Ipad too, LOL. I didn’t let the fumes get to my eyes hahaha, the first attack of the fumes had me jumped away. 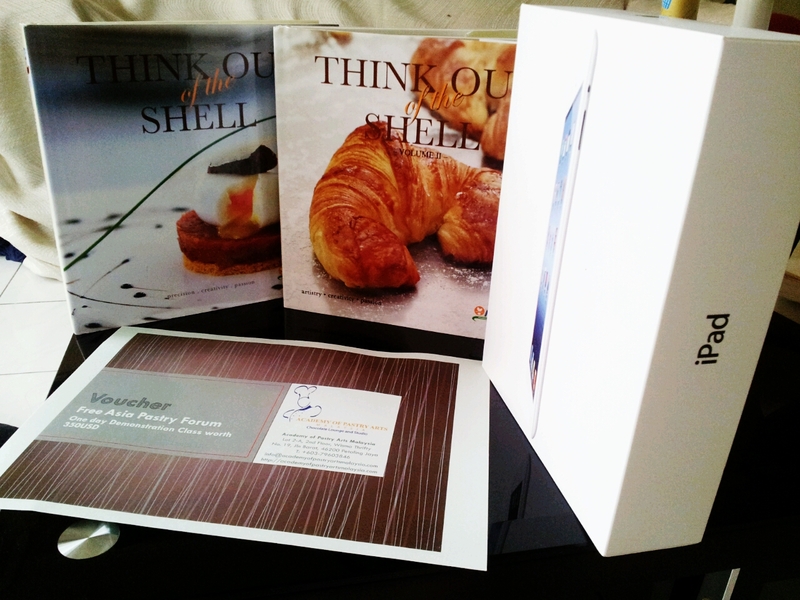 The iPad does seem a more enticing prize, especially coz I broke mine just a few months ago. Congrats again Kelly! I think you did a very good job with your dish… it definitely looks great and the combination sounds wonderful. Congrats on the iPad Kel, and yessssss loving that beautiful pic of the egg!!! It is certainly a very creative twist in the dish and love to try the recipe during the holiday season for my family… thks again for sharing! 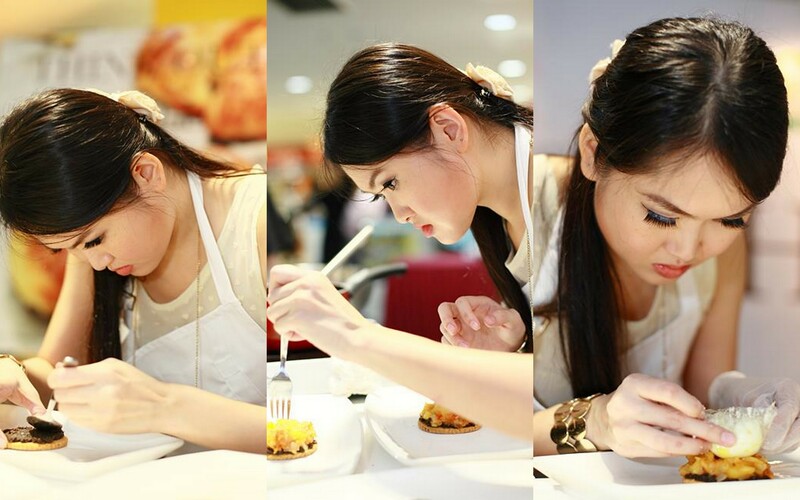 Kelly, your dish is so beautifully crafted and I can tell that it is super duper tasty! Well done!